We would like to offer a unique opportunity to experience traditional Japanese culture: a tea ceremony performed under the guidance of our tea instructor Tanaka Sowa and other tea masters. Explanation will be given in English. Also there will be a koto (Japanese harp) music performance. Please come and enjoy with us a tranquil atmosphere in the tea ceremony room on campus! Tea ceremony room "Happukyo" located in Millennium House (Building V) on campus, KUIS. *The number of seats: 20 for each session. Please purchase your ticket (cash only) in advance (on August 4th or 5th) at the reception desk in Building IV and reserve your seat. Those who have not fully booked their seats in advance can purchase their tickets at the spot on a first-come-first-served basis. 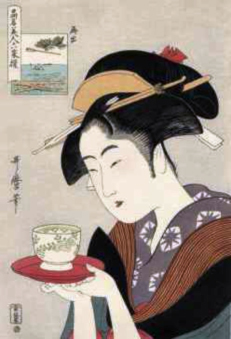 Certified Tea Instructor of the Urasenke Chadō Tradition. 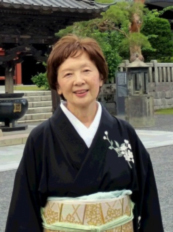 A teacher with more than forty years of experience in the way of tea, Mrs. Tanaka is also a member of the International Chado Culture Foundation, and an organizer of Mutsumi-kai (Friendship Association of Chadō, a group for disseminating Japanese culture of chadō and koto).